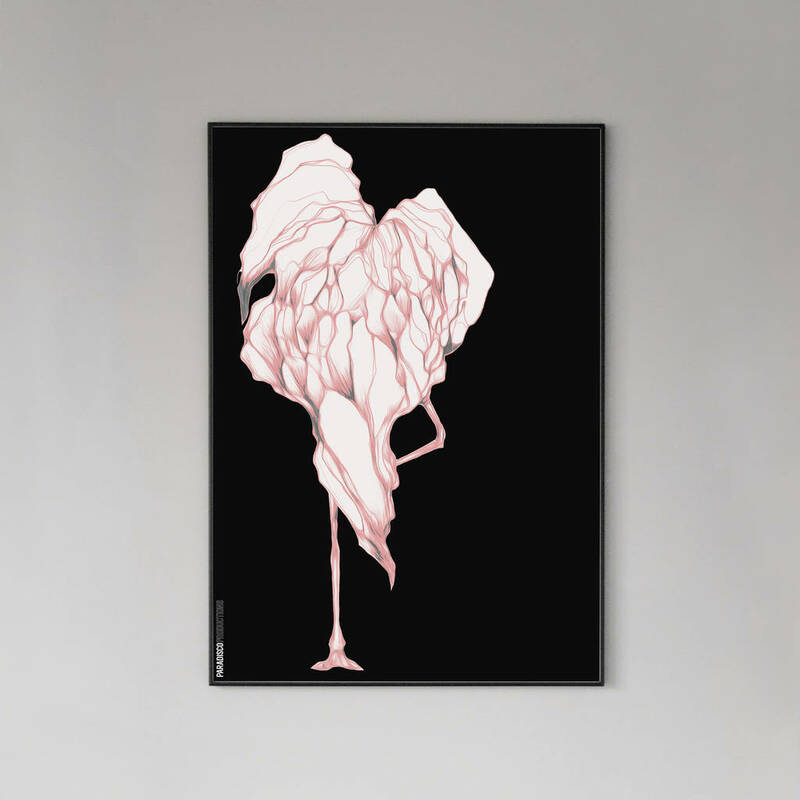 Striking framed print of a heart shaped flamingo. 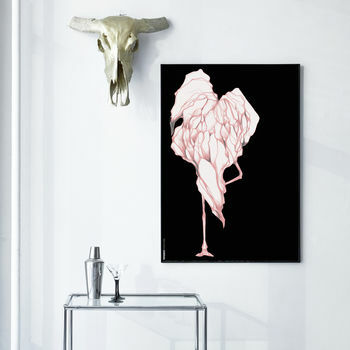 A unique print with grace and intense colour of coral, the delicate bird unites with the stark black background. 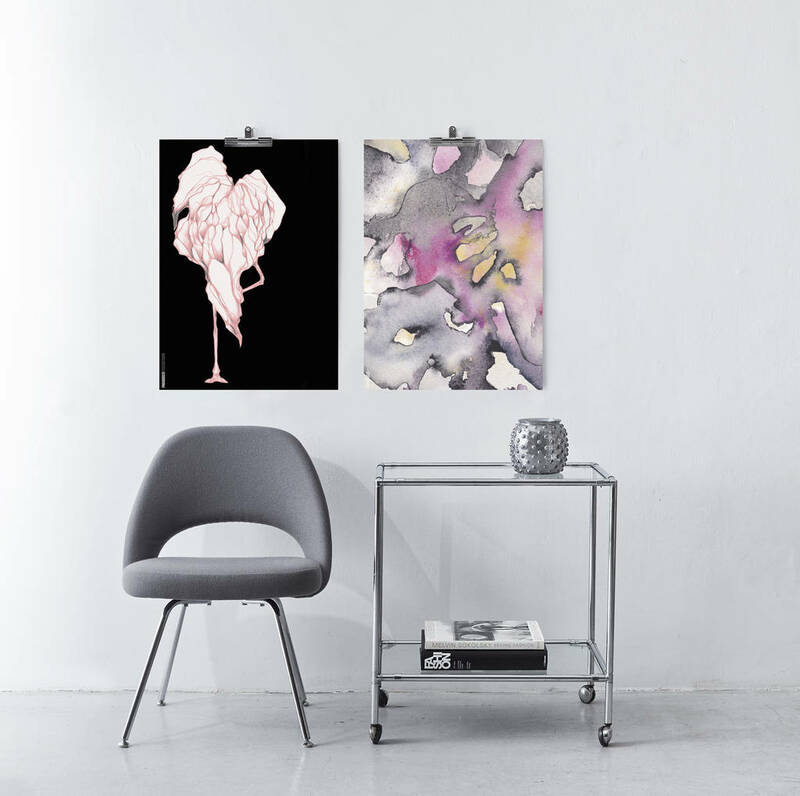 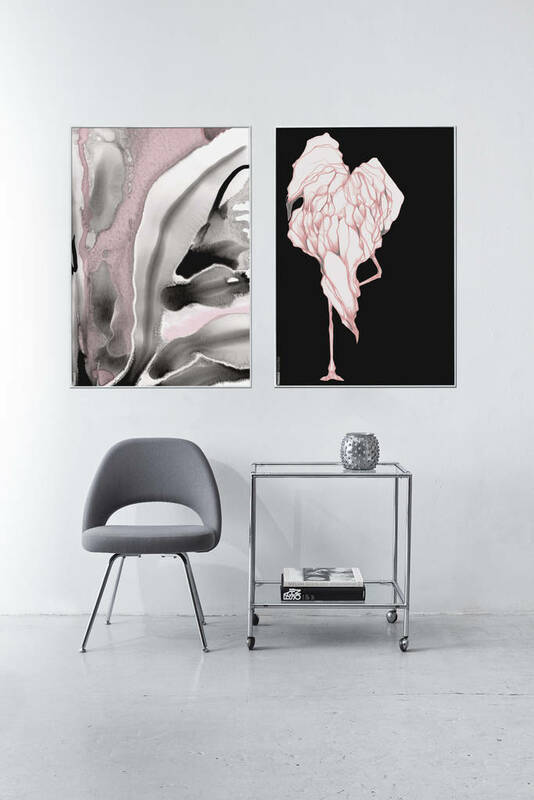 Created by Copenhagen artist - Tina Rud McGrade, this print is ideal for a bold and edgy interior. 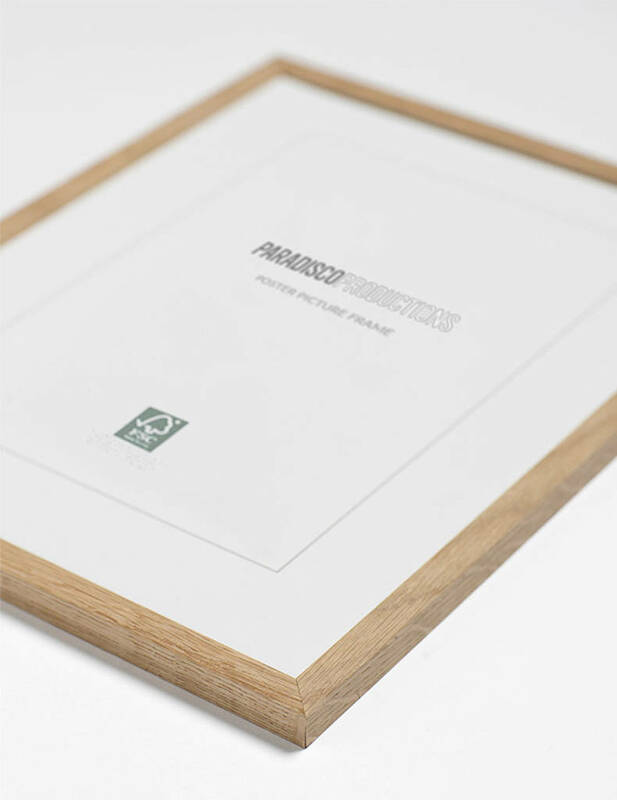 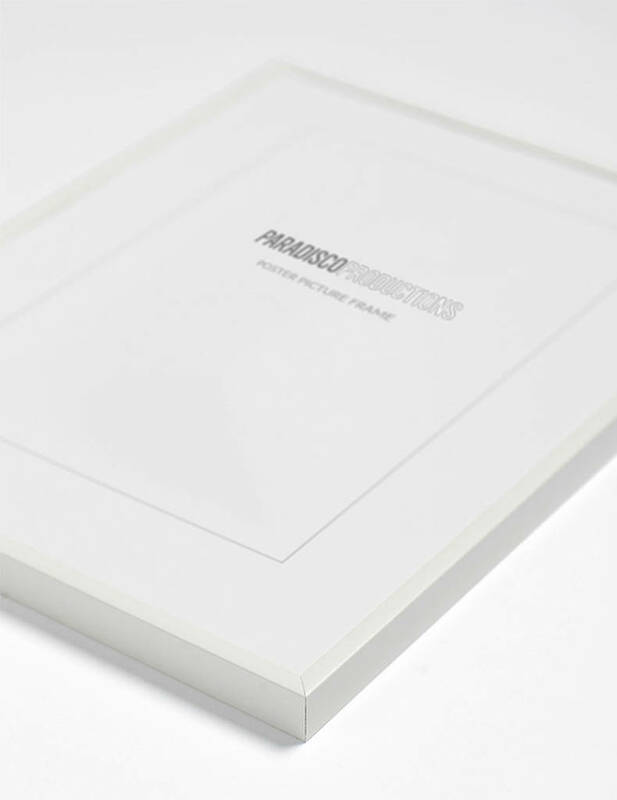 Choose a beautiful Italian glass frame for your new print and get the complete signature feel. 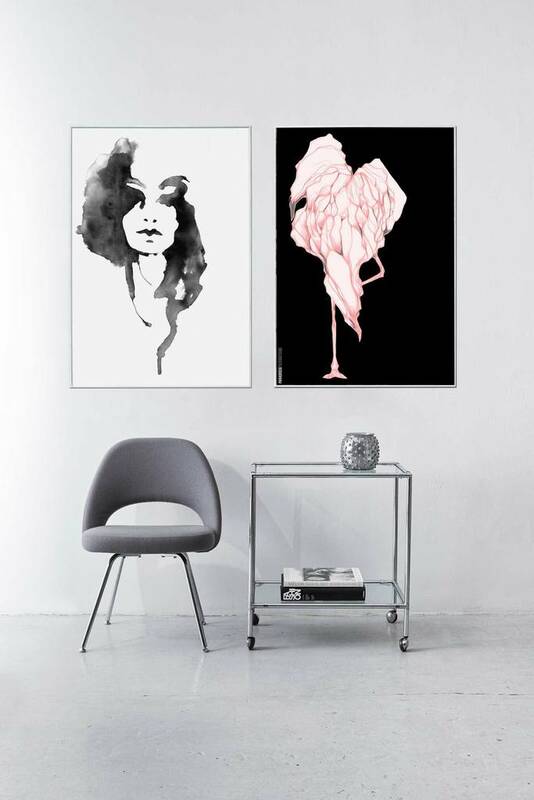 Choose Black or White Aluminium frame for a modern look or Oak for a softer finish. If you already have a frame then we can supply the print in a customised black poster tube with tissue paper.